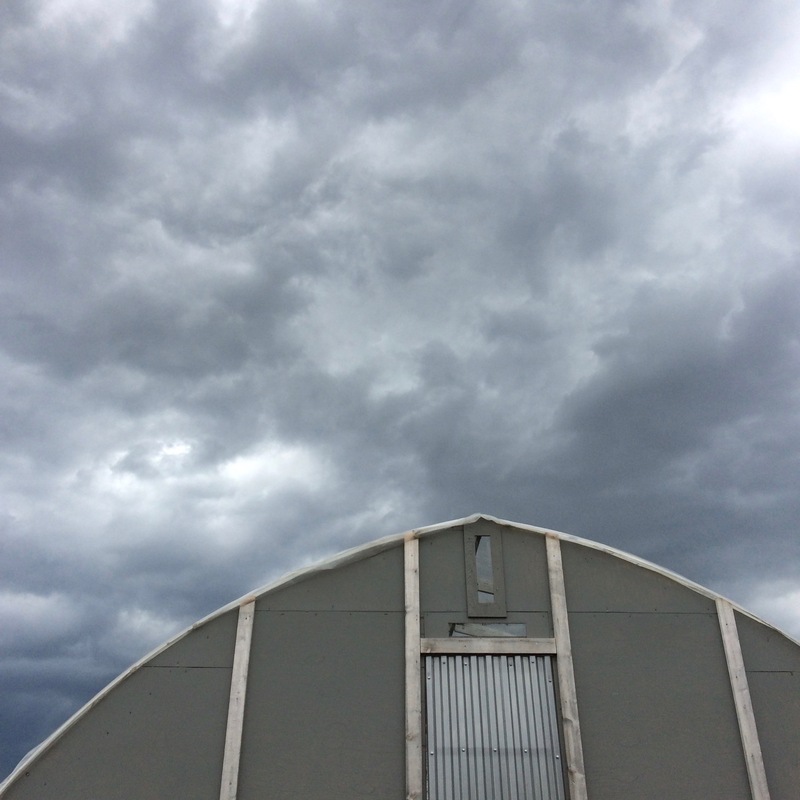 Spring storms arrive over the hoop house in April. More decisions. And sometimes tacos. What are the predicted highs and lows for the next few days and is that sun going to shine or not? 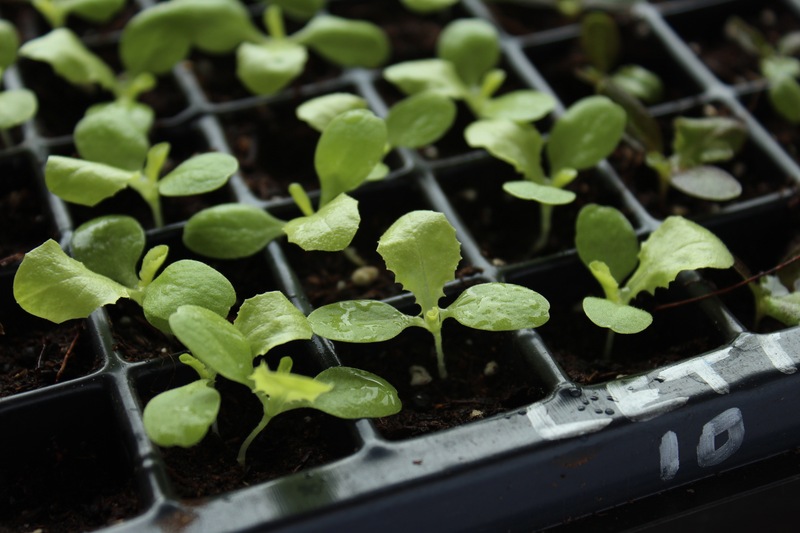 If I put these seedlings in the hoop house, will it be too cold overnight? Will I have to carry them inside again through the rain and wind? Wouldn’t they be better off without that stress? Wouldn’t I be better off without that stress? Or could I cover them with frost blanket enough to keep them warm? But how many days is it staying cold and cloudy? And how long will my family put up with all of these baby plants inside the house? Believe me, there’s a lot more discussion going on – mostly regarding transplants, starting more greens and how to deal with finding flea beetle damage already. Plus now it’s day two of a heavy rainfall warning. Sigh. 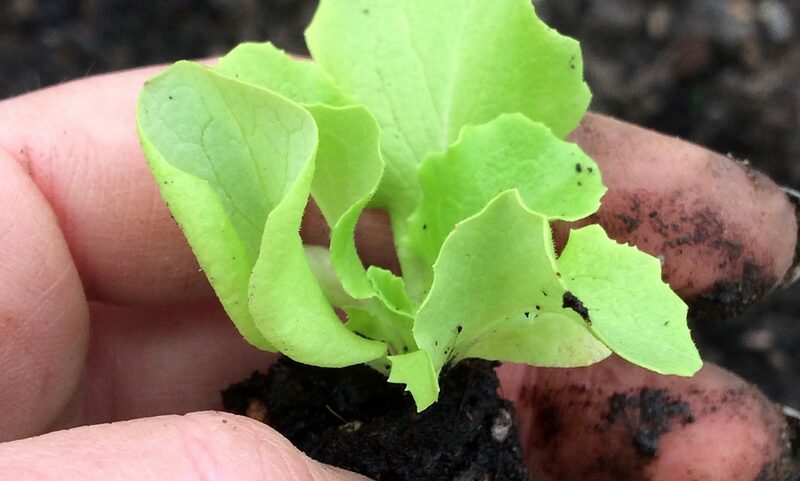 Lettuce seedlings growing under lights in the house until they are brave enough to go into the hoop house. Looking at last season’s photos and notes kind of ups my anxiety. It seems like I was much further ahead in my propagating game last spring. Little lettuces were snugged into their raised bed, covered with hoops and frost blanket. Tomato seedlings were already potted up in 4″ pots, sitting contentedly in the hoop house. My plans were firmly laid out in my green spiral notebook. But upon further reflection, I now remember I didn’t exactly have it all together last season. Not by a long shot. It was my first ever market, and despite many years of working in retail, I was very nervous. There was some very cold weather the week before market. I also started way too many plants early in the season and had to compost a whole tray of kales and cabbages that had no where to go. Despite that spiral notebook. Also, last year we didn’t take a fantastic family holiday over March break, and this year we did. Granted, it set back my seed starting a couple weeks, but what a wonderful experience. Visiting a completely different biome was so fascinating. The diversity of desert plants kept us enthralled while we tried to learn their names and uses. And there were delicious tacos. 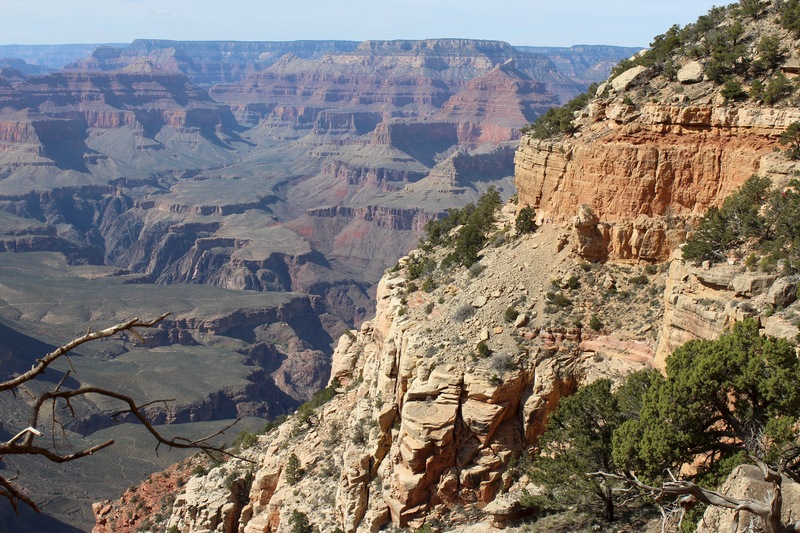 Visiting the Sonoran Desert and the Grand Canyon brought home again how precious water is, and how blessed we are to live where it is so abundant. New season, opposite conditions. We’ve had heavy rainfalls this spring. Water is pooling in the field where it is too wet to plant. Transplants are crowded in the living room until we get past this latest cold front. It certainly never gets boring. Now how can I spin this to score a taco? 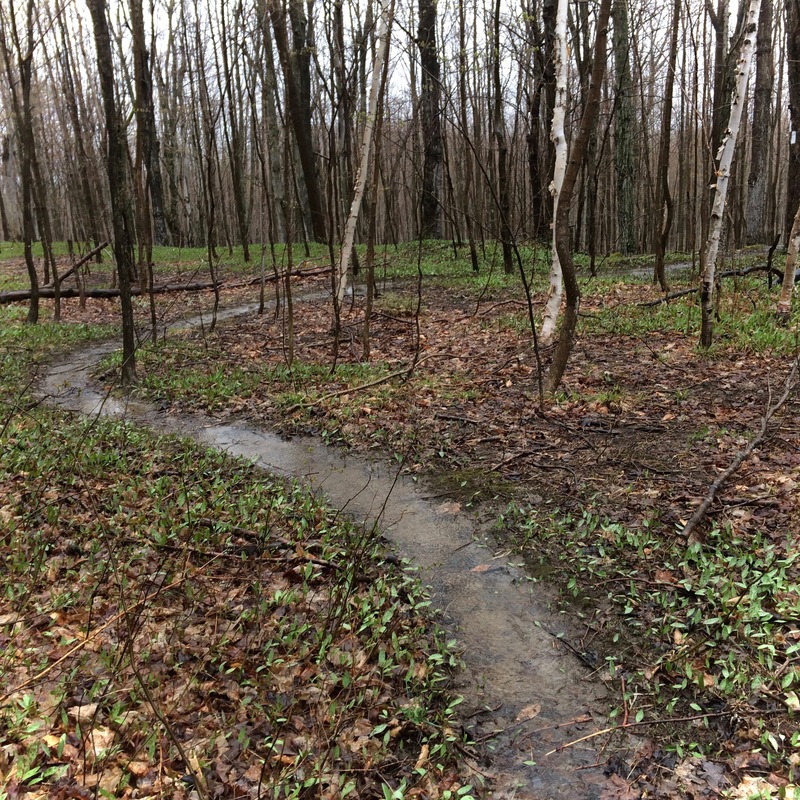 Spring rains flood the Bruce Trail near our homestead.